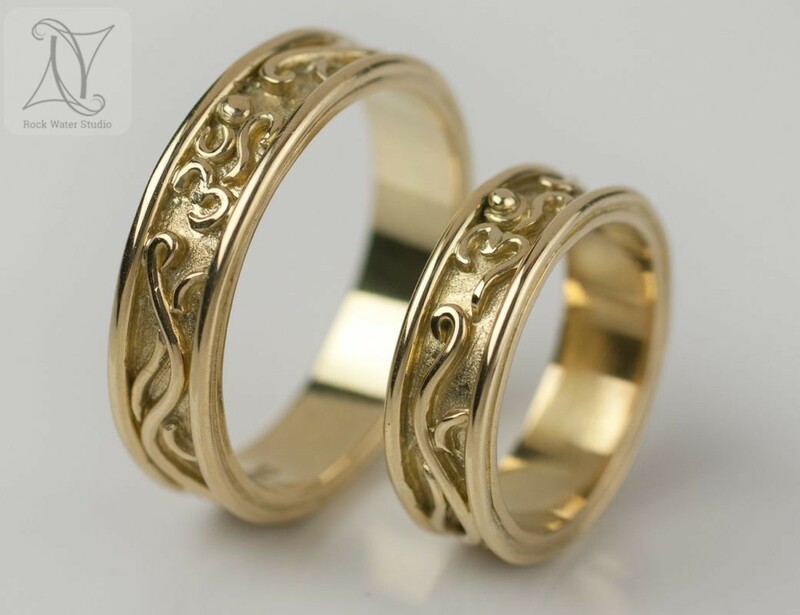 Unique, handmade gold rings to your design, or to a design that we come up with together! One-of-a-kind rings, lovingly created in my workshop studio. Whether you know exactly what you want, right down to the finer details, or you just know you want something different – something that’s more you – I can help make your vision come to life and let you be part of its creation, from start to finish. Every single ring, individually handmade and unique. A meaningful way to celebrate your wedding anniversary. Unique and individual, handmade rings designed to incorporate meaningful symbols and initials. Personal elements significant to the wearer. Make your promise, your way. Rings independent of any particular occasion. Handmade especially to make you smile when you wear them. Your ring needs to be comfortable to wear and safe from falling off. An important part of the design is to get the right ring size. If you’re looking to have a custom ring made, a gemstone traditionally associated with the occasion is another way to personalise it. Your ring can be created with your gemstone of choice and I source gemstones to order. There’s also a selection of gems you can browse through. Gee, I was looking at the beautiful ring you designed for my Roman coin and wanted to thank you again for creating something that has brought me so much pleasure. It is one of my favorite treasures from my travels and felt you should know. Many thanks. Hello Gee, Just to let you know we have got our rings. Thank you so much we both love them. Keith has his on at mo as he loves it that much. Thank you again for everything, design of the rings are great! We love them and will treasure them. A Star Sapphire ring made to my requirements. Absolutely delighted with it and never take it off. Excellent work and care taken in the design and making. Designed and created just for you. Ideas for your unique ring. Get in touch for the ring of your dreams!